Electronic pest control is one of the safest methods to render your house pest-free, as opposed to poisons. However sneaky you might think you have been in placing the baits all around the house, they can be found by your pets, if not your kids. So why not avoid all this worry and go for a more modern approach to pest control? Even several f﻿﻿lea﻿﻿ collars adopt this technology to drive away fleas. Pests have better ears than humans and on the ultrasonic pest control is built to exploit that same feature. 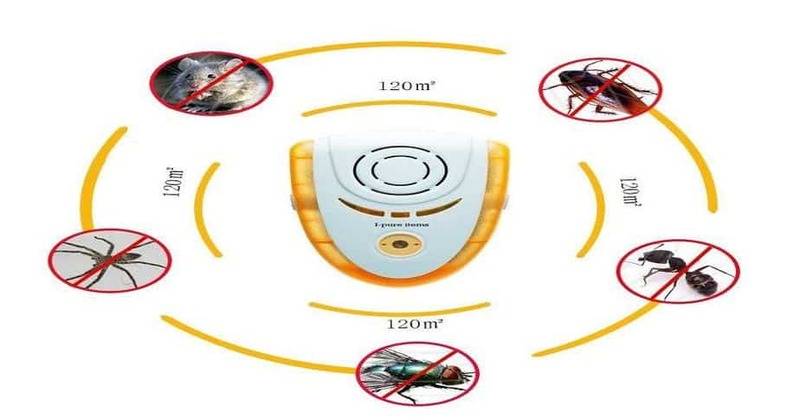 A vibrating sound at a very high frequency is emitted by these devices and it causes an audio-genic seizure in your pests, owing to which, they die. This seizure is a collective term for a condition that causes a couple of symptoms in the pests. They include convulsion, hemorrhage in the brain and finally berserk running. The production of high frequency noise does not allow the pests to find food or communicate. It restricts them from nest-building and even breeding. Forced by this, the pests flee. The best part is that it is undetectable to humans and so you won’t have to deal with a screeching noise all day long. These devices do work, or at least, at an initial level, they do. Studies have shown this to be remarkably effective on r﻿﻿o﻿﻿dents like rats and even rabbits. However, other pests like cockroaches have been hardly bothered by it. However, with experience, the rats get smarter. They learn that the sound is harmless and learn to work around it. That’s when it stops having an effect. You need to place it in an area that the pests frequent for it to have any affect at all. The mouth of a burrow is perfect if you can find it. For roaches or mosquitoes, try placing it near the drain where they breed the most. This frequency is blocked by any obstacle that might turn up in front of it. The waves will not get through the furniture and other objects to reach the rodents. Are Ultrasonic Pest Repellents Safe for Pets? The concept of driving away insects by turning their own senses against them is quite interesting. However, your pet probably has a similarly good hearing too. While testing out any kind of pest repellent, we should take into consideration as to how that would affect our pets. Ultrasonic repellants work by emitting high frequency sounds. While the sound is high enough for your pet to hear it, it is not necessarily harmful. In fact, flea collars are often built with this mechanism to keep off fleas from your pet. High frequencies are not particularly harmful to our pets in general if the volume is not too loud. It probably wouldn’t even bother them too much. Can Dogs hear Ultrasonic Pest Repeller? Ultrasonic repellants emit sound at a frequency above human hearing capacity. Animals, in general, are attuned to sounds that cover the human frequency level, subsonic levels and also, ultrasonic ones. The average frequency of an Ultrasonic Repellant is at 20 kilo hertz. It is audible to dogs or any other pets that you may have. However, as effective as these electronic pest repellants are in the first stage, they lose their charm very fast. Pests develop a resistance to it. But it is a good method to drive away any insect or rodents without succumbing to killing them. Killing holds aversion for several people and poison particularly is a very inhuman way to go.